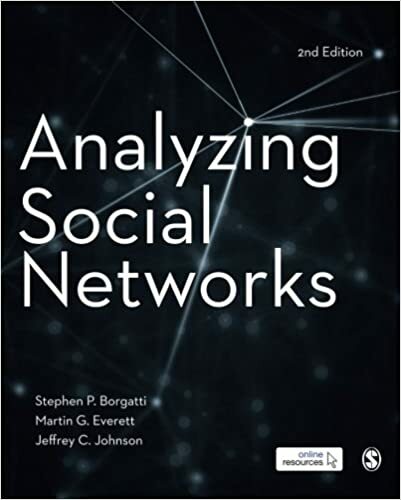 Welcome to the website for the book Analyzing Social Networks, 2nd edition, by Steve Borgatti, Martin Everett and Jeff Johnson. The purpose of this website is to make available a number of supplementary materials to accompany the book, including datasets used in the book and worked examples (tutorials) showing how to do each analysis discussed in the book. The book is available on Amazon, Amazon UK, and Sage.